The Tenth Circuit Year In Review (December 2017). Published by the Oklahoma City Chapter of the Federal Bar Association. Adopt-A-Family: Bridging the Gap Between Outreach and Discipleship (February 2013). Published by Creative Press through Christ for the Nations Institute. Missions Ministry Article (October 2013). Published in Keidas, Finnish Christian Magazine. Personal Story (June 2012). Published in Christ for the Nations Institute Magazine. Anthony Dee’s law practice includes a broad array of matters that include, but not limited to, religious nonprofit; employment; legal research; compliance; regulatory; non-religious nonprofit; construction litigation; corporate transactions; corporate governance; tax; commercial litigation; and church law. Prior to joining Middlebrook | Goodspeed, PLLC, Anthony served state and federal judges. He served as an intern for federal Judge Suzanne Mitchell and Judge Shon Erwin in the United States Court for the Western District of Oklahoma. He also served Judge Richard Ogden in the Oklahoma County District Courthouse. In law school, Anthony was on Dean’s List and was a merit scholar. He was employed by Westlaw to train other law students and law school staff on how to use Westlaw legal research tools. He also competed in the American Association of Justice’s Mock Trial competition and the Oklahoma Bar Association’s Mediation Competition. 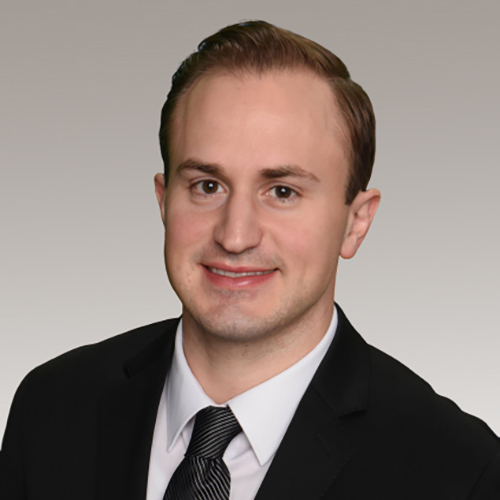 In practice, Anthony has also served at a boutique civil litigation firm that represented the largest credit union in Oklahoma. The firm conducted hundreds of hearings in state and federal courts all across Oklahoma on various complex matters. Anthony Dee also worked in a mid-sized law firm that has one of the largest construction litigation practices in Oklahoma. The firm represented many industry-leading commercial builders, general contractors, sub-contractors, and bond-sureties in court. Anthony has also been actively involved in local church ministry conducting training seminars on community outreach. He authored and published two books called The American Mission and Adopt-A-Family. He has also done missions work in Taiwan, India, South Africa, Zimbabwe, Finland, Estonia, Peru, Mexico, and Israel. Anthony grew up in south Texas near Houston. He has been married for four years to Savanna. He enjoys playing guitar, soccer, and spending time with his family who reside in the Dallas area.